Start off with a challenge! 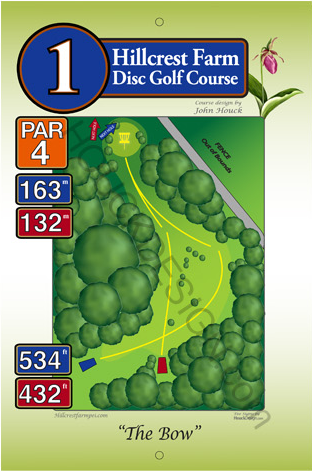 This is a par 4, 163 metre fairway that starts out straight and slightly uphill. Then it branches into a wide right approach (longer) and a narrow left path (shorter). The fairway makes a sharp left turn down a steep slope to the basket at the bottom of a hill.